Rep. Bobby Kaufmann, R-Wilton, speaks while four other state legislators who represent Johnson County, in eastern Iowa, listen during a legislative public forum in Iowa City, IA, on Dec. 5, 2018. From left to right are: Sen. Joe Bolkcom, D-Iowa City; Rep. Dave Jacoby, D-Coralville; Kaufmann; Rep. Mary Mascher, D-Iowa City; and Rep. Amy Nielsen, D-North Liberty. The county they represent is home of the University of Iowa and Iowa Medical and Classification Center. 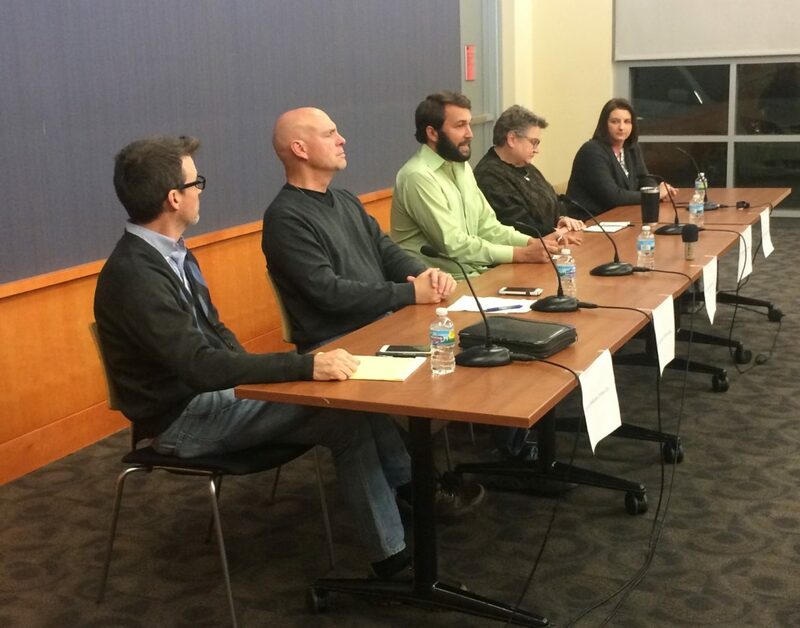 The forum was co-hosted by The Daily Iowan newspaper's Ethics & Politics Initiative and IowaWatch. Republicans have no plans to change the Iowa Public Employees’ Retirement System, including reductions in benefits from the system that handles the pension plan for 350,000 state employees, the incoming chair of the House State Government Committee said Wednesday night. “IPERS is not going to be touched. It’s the most solvent retirement system in the country,” state Rep. Bobby Kaufmann, R-Wilton, said at a legislative forum in Iowa City co-hosted by IowaWatch and The Daily Iowan, referring to the program by its better-known acronym. Democrats have raised concerns that changes could be in the offing, especially after state Sen. Brad Zaun, R-Urbandale, introduced a bill two years ago to place public employees hired after July 1, 2019, in a program requiring increased personal contributions. The bill failed to gain traction. IPERS, the state’s largest pension program, had a Trust Fund balance of $32.26 billion on June 30, IPERS documents show. Investment earnings cover about 70 percent of the benefits paid to retired state employees, the documents show. About 117,000 plan members are retired. Gov. Kim Reynolds has said she would not favor cutting IPERS benefits. As chair of the State Government Committee next session, Kaufmann will have a lot of say in what legislation advances. 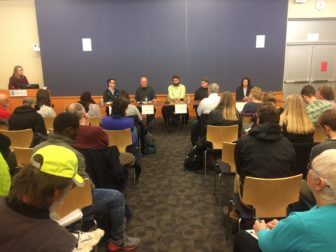 The legislative public forum was at the Iowa Public Library on Dec. 5, 2018. Kaufmann said he has spoken to all 53 members of the incoming House Republican caucus about IPERS. “Zero. Not one, not two, not five. Zero, zilch, nada, none have any appetite for this whatsoever,” he said about making changes. Kaufmann’s father is state GOP chairman Jeff Kaufmann. A radio version of this IowaWatch story was broadcast on KXEL and KFMH (Waterloo, IA); KFJB (Marshalltown, IA) and KMA (Shenandoah, IA) under IowaWatch’s mission of sharing stories with media partners.